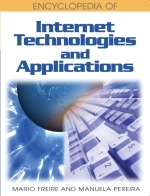 This chapter reviews the most important fact of the application-level multicast (ALM) and then describes a novel concept of modeling relative density of members called bunched mode and a proposed host-end multicast routing protocol called shortest tunnel first(STF). The bunched mode is based on the thematic multicast concept (TMC), which means that it is atypical multicast scenario where there are a lot of interested hosts in certain institutions, relatively far from each other. This situation is called bunched mode, in which the members of a multicast group are locally in the dense mode, and globally their situation is similar to the sparse mode because these spots are far from each other. The developed analysis tool, Net Sim, and the implementation of the TMC, Pardede CAST, are also presented as the tools of this research. Application-Level Network (ALN): Applications running in the hosts that can create a virtual network from their logical connections. This is also called an overlay network. The operations of such software entities are not able to be understood without the knowledge of their logical relations. In most cases these ALN software entities use the P2P model. Ad Hoc Network: A network which does not need any infrastructure. Bluetooth is such a network. IP-Multicast: Network-level multicast technology which uses the special class-D IP-address range. It requires multicast routing protocols in the network routers. It is also known as network-level multicast (NLM). Local Area Network (LAN): Network where there is no routing. There is a router in the LAN acting as a gateway and the remaining nodes are usually hosts without any routing functionality. Multicast Island: A multicast-capable network, where all routers have multicast routing protocols and IP-multicast is available. One of the main problems of IP-multicast is connecting the multicast islands into an Internet-wide network. Multicast Routing Protocol: In order to forward multicast packets, routers have to create multicast routing tables using multicast routing protocols. ALM Routing Protocol: Members of the host’s construct delivery tree using similar algorithms to those of the IP-multicast routing protocols. Peer-to-Peer (P2P): A communication method where each node has the same authority and communication capability. The nodes create a virtual network overlaid on the Internet. Its members organize themselves into a topology for data transmission. Application Level Multicast (ALM): A multicast technology which does not require any additional protocol in the network routers, since it uses the traditional unicast IP transmission.